Dearborn, Mich., August 6, 2013 – Lizabeth Ardisana, CEO of Dearborn-based ASG Renaissance was recently honored for her 20 years of service as an advisor and mentor to the U.S. Department of Energy’s National Clean Cities Program and the numerous Clean Cities Coalitions throughout the United States. Ardisana and her team at ASG Renaissance has provided management, executive oversight, technical assistance, partnership outreach, education, market research, media relations and strategy development for a series of Clean Cities projects covering Compress Natural Gas (CNG), Liquefied Petroleum Gas (LPG), Electric Vehicles, E-85 and bi-fuel vehicles. Additionally, Ardisana has worked to develop strategic partnerships, advancing Clean Cities objectives and increasing membership. Ardisana also played a key role in the development of the Clean Cities International Program, which started in Bangladesh to help international communities build safe and effective alternative fuel vehicle programs. She provided alt-fuel coalition building, education and communication assistance geared toward the development, utilization and promotion of clean alternative fuels, specifically CNG, for transport and commercial purposes. Representatives from the DOE, Clean Cities Coalitions, industry partners, stakeholder organizations, and national laboratories gathered for the ceremony in Washington DC to mark Clean Cities’ two decades of progress in the deployment of alternative fuels and advanced vehicles. ASG Renaissance is a multidisciplinary professional services firm providing marketing, public relations, digital marketing, staffing and recruiting, and technical consulting services to a wide range of clients in the automotive, alternative energy, higher education, defense, healthcare, construction, government and non-profit sectors. During its 25 year history, ASG has carved out a unique niche in the clean tech industry by providing these services to organizations working to successfully market and develop alternative energy, advanced vehicle and environmentally sustainable technologies. ASG Renaissance is a woman and Hispanic-owned, ISO 9001: 2008 certified firm with offices in Michigan, California, Washington D.C., and Ontario. For more information, please visit http://www.asgren.com or follow us on Facebook and LinkedIn. Dearborn, Mich., November 27, 2013 – Thanksgiving is a time to express our gratitude to the men and women of the U.S Armed Forces who so valiantly fight to protect our every day freedoms. As a way to say thank you ASG Renaissance’s Blue Force Services Division sent a local Westland man to West Virginia, to take part in Helmets off to Heroes sponsored by Drive Lab. 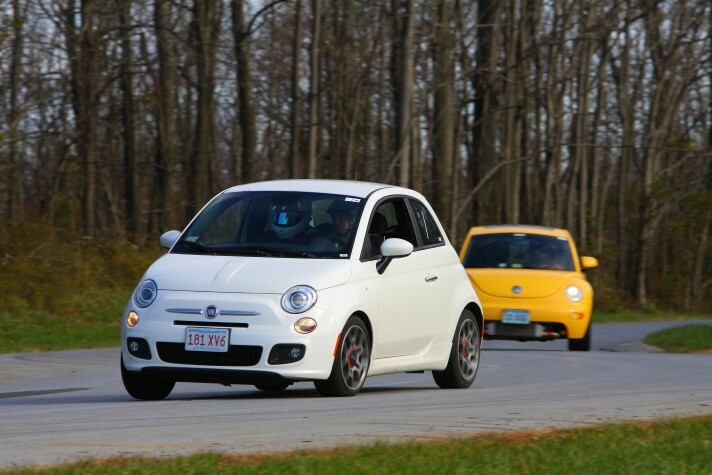 Drive Lab is a unique high-performance driving experience that combines classroom education with on-road training. Army Staff Sergeant, Brandon Saleh received an all-expense paid trip to Summit Point Raceway in West Virginia to take part in Drive Lab. Saleh and 15 other military servicemen spent several hours in the classroom before venturing on to the windy racetrack, where they took their car for some speedy laps around the track. Saleh drove the stylish Fiat 500 and topped out at 80 MPH. 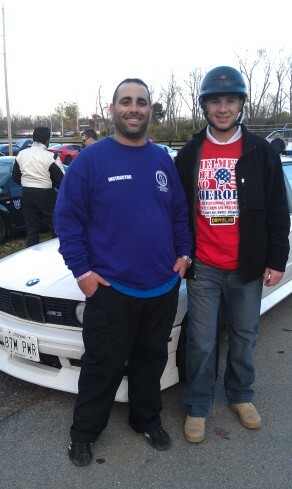 “This was a great event that every Veteran should take part in,” said Saleh. “I learned so much more about cars and their abilities to handle speed, swerving, and braking. But the best part was seeing all the smiling faces, high fives and the excitement all the Veterans were experiencing.” Saleh was raised in Westland and is the eldest of 10 children. The events of 9/11 drove Saleh to enter the U.S. Military to give back to his country. During his 11 year army career, he has served two tours in Iraq and most recently one tour in Afghanistan. In between tours, Saleh helped prepare and train other soldiers for deployment overseas. Currently he is a staff sergeant for the Army’s Security Task Force, in charge of situations on the home front. Saleh is also pursuing his Bachelor’s Degree in Business Finance from Eastern Michigan University while serving as a Manager for his family-owned used car dealership and automotive repair shop. Saleh was nominated during ASG’s three-month long Helmets off to Heroes contest. About ASG Renaissance: ASG Renaissance is a multidisciplinary professional services firm providing staffing and recruiting, marketing, public relations, digital marketing, and technical consulting services to a wide range of clients in the automotive, alternative energy, higher education, defense, healthcare, construction, government and non-profit sectors. ASG’s Blue Force Services Division, provides a wide-range of military, defense and security services to federal agencies and government contractors on the local and national level. For more information, visit www.asgren.com or www.blueforceservices.com. Farmington Hills, Mich. – Blue Force Services, a division of ASG Renaissance has entered into a Mentor Protégé relationship with Access International Solutions, a Texas-based service disabled veteran–owned small business. Allen Shisler, CEO of Access is a former field grade airborne infantry officer assigned to the 82nd Airborn division, serving in the Berlin Brigade, Gulf war and Guantanamo Bay. Together VFS and Access will deliver timely and cost effective human capital solutions to our client companies with an emphasis on placing veterans in these technical and professional jobs. The Mentor Protégé program will help Access develop new business skills and provide them with additional technology to increase business efficiencies and expand their service offerings to new clients. Blue Force Services and Access International Solutions will focus its services in five key industries: 1) automotive, 2) Defense 3) Financial Services 4) Aerospace and 5) Alternative Energy. About Blue Force Services Blue Force Services, a wholly owned subsidiary of ASG Renaissance (www.asgren.com), an engineering consulting and technical staffing organization, provides a wide range of military defense and security services to federal agencies and government contractors on the local and national level. Blue Force recruits and places technical personnel in key defense industry positions, provides engineering services, integrated logistics, maintenance support and development of technical publications/documentation. On the security side, Blue Force provides clients with comprehensive security measures, including security evaluation, threat assessments, emergency action plans, surveillance detection, security training and event security designed to keep your most valuable assets protected. Blue Force Services is a women/minority owned firm, ISO 9001-2008 certified, and a member of NDIA. For more information, visit www.blueforceservices.com. Beth Ardisana was elected by the Skillman Foundation Board of Trustees as its new chair, effective immediately. Ardisana has served as the board's vice chair under previous chair David Baker Lewis. Ardisana has served on the Foundation's board since 2006. Created in 1960, the Skillman Foundation is a private philanthropy committed to helping children in Metropolitan Detroit by improving their homes, schools and neighborhoods.